This is an excellent question and it has been posed many times by our customers, and is indicative of the confusion surrounding the antiquated information on the internet referencing Titanium Dioxide and Zinc Oxide. The not so simple and sometimes confusing answer, is they can be considered both minerals and chemicals, actually! Titanium Dioxide and Zinc Oxide as they are most commonly referred to, are physical sun blockers and are widely considered minerals in their purist form, yet to be thoroughly accurate, they are inorganic chemical compounds with varying chemical properties depending on which application they are used for. The pure form of the chemical elements found in our periodic table, Titanium (Dioxide) and Zinc (Ore "zincite" ) Oxide are typically known to create the chemical formulas of TiO2 and ZnO. Furthermore, TD and ZO are never and cannot be used directly from the ground in their raw mineral form. They must go through a synthetic chemical process to purify and alter the mineral structure, whereby now providing the creation of the aforementioned chemical compounds we find in mineral makeup and other products today. The most popular versions of Titanium Dioxide that are used today in sunscreens are Anatase and Rutile forms. So, a distinction needs to be made and the fact is, anatase nano-TiO2 is more photocatalytic than the rutile form, and nanoscale rutile is less photoreactive than either anatase and rutile mixtures or anatase alone as provided by the EPA in their 2010 final report on safety of Titanium Dioxide use in sunscreens. This means the "anatase" version has been shown to cause an increase in certain skin cancers and the "rutile" version has been found to be safer for sunscreens and not photocatalytic on skin even in the nano-scale version. 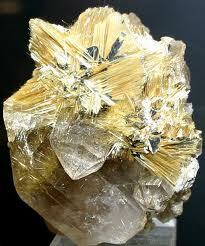 "Rutile" TiO2 (non-nano) is the version we use in all of our mineral makeup products. We also provide further stability to our titanium dioxide through encapsulation with Methicone copolymer, and Jojoba Oil is added into our foundation formulas which vastly reduces fly away in the mineral powders. To review the summary of the EPA Research on Titanium Dioxide, this article is beneficial: Is Titanium Dioxide Safe In Mineral Makeup and Sunscreens? What continues to lend to further confusion, is when many blogs and commercial websites advertise certain products as being "chemical free" which is literally impossible and devoid of all science. Examples are phrases such as "avoid chemical sunscreens in favor of natural mineral based sunscreens." However, due to this slight skewing of facts, it has created the mindset that minerals and natural / organic ingredients are best and are mutually exclusive from chemicals. Except for one simple fact, all things in nature have chemical properties. Our bodies are made up of chemicals as is water, and minerals in their natural state, though taken from the ground, are chemical elements and go through a chemical process to make them safe and usable in the cosmetic marketplace. In fact, most TiO2 and ZnO found in the commercial market today is synthetically created. Titanium Dioxide and Zinc Oxide have many uses besides being physical sun blocking agents. They are used in different applications, from pigment in paints, ceramics, medicines, plastics, ink, to food coloring. For many it has been easier to simply identify the differences as TiO2 and ZnO are minerals and all other sunscreens are derived from chemicals, when in actuality the majority of sunscreen chemicals are synthetically (man made) derived. 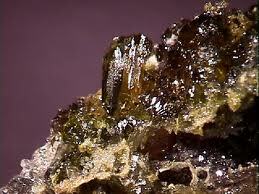 Remember however, although ZnO is found naturally in the earths crust as zincite (rare crystallized version) or zinc ore, it is primarily being created through a synthetic process. It is also important to remember that many things we use in nature found in our skincare and cosmetics go through a chemical process to have the raw ingredients we enjoy so much be purified or improved for performance in order to be made "safe for use" in our favorite products. Hence the word "chemicals" should no longer bear the connotation of somehow being harmful or unsafe, or that they be set apart from the natural / organic world.